The information provided by Burbank Criminal Defense Attorney George Kita on these webpages is for general information purposes only. Nothing on these or associated pages, documents, comments, answers, emails, or other communications should be taken as legal advice for any individual case or situation. Our website contains attorney advertising, but is not intended as a solicitation to anyone with lawyer representation. George Kita is licensed to practice law solely in the state of California. 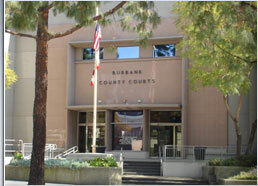 He represents clients with cases at the Burbank Criminal Courthouse, and in Los Angeles County Courts. George Kita focuses substantial efforts helping first-time offenders, providing early intervention, and exploring creative alternatives in criminal allegations in Burbank, California. We recognize that you may be concerned about our use and disclosure of your personal information. Your privacy is very important to us, and the following will inform you of the information that we, Law Offices of George Kita, may collect from you, and how it is used. By using our Web site, www.burbankcriminaldefenseattorney.com, you are accepting the practices described in this policy.